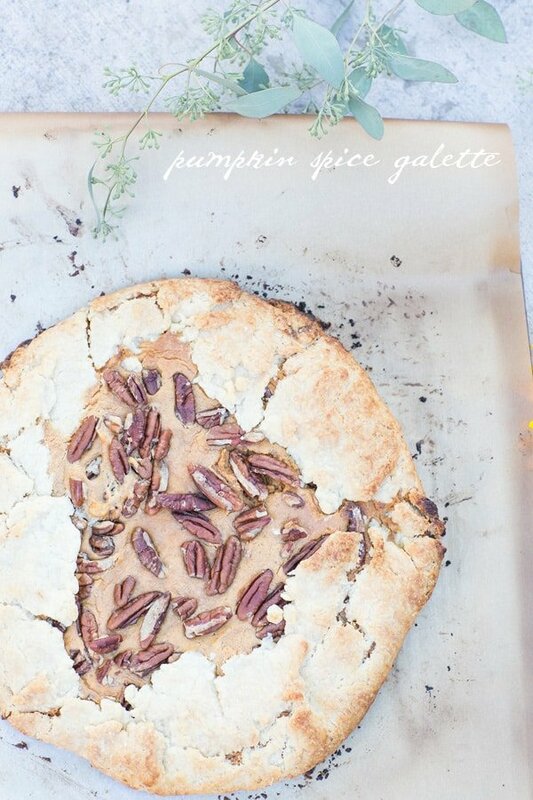 We’re welcoming fall with a delicious, rustic pumpkin spice galette. I wanted to make something different than the standard pumpkin pie and I love the way galettes look (and taste!). I like that this dessert has an artisan feel, even though it’s extremely easy to make. This is a no hassle crust too…it’s buttery, flaky and delicious. The filling is made with cream cheese, pumpkin, sugar and spices. It’s the perfect pumpkin taste that’s flavorful, but not overpowering. It’s kind of like a mix between a pastry and a pie, so you c an serve it for breakfast or dessert! For the next few months I pretty much use pumpkin in everything and somehow it makes it all taste better! So happy it’s fall!!! Cut 2 sticks butter into small chunks and add to the flour mixture. With your hands or a pastry cutter blend until butter chunks are the size of peas. Divide dough in half, press each half into a round flat disk, and wrap in plastic. Place in the refrigerator for 30 minutes or up to a few days. Beat cream cheese on high until soft and fluffy. Scrape down the sides and bottom and continue to beat. Add in the pumpkin and blend, then add in the sugar and spices. Roll the dough out to a 11 inch round(ish) circle. Add pumpkin filling to the middle leaving 1 1/2 to 2 inches of crust to fold over. Sprinkles pecans over the top, then fold crust over. Brush with melted butter. So easy!! You can also try sugared pecans, yum! Bake in a preheated 450 degree oven for 15 minutes. Then lower the oven temp to 350 and bake for about 20-25 more minutes until the crust is golden brown. You can cover the filling with tin foil if you need. Enjoy!!! That looks really fabulous. I can’t wait to make it. This looks awesome! I really want to make this for Thanksgiving this week, but I’m having a problem. The crust recipe makes two pie crusts. Does the filling recipe make enough to fill both pie crusts or is it just for one pie? Also, you may want to correct the “1 teaspoon white sugar or 1 tablespoon” bullet to “1 teaspoon white sugar or 1 tablespoon powdered sugar”, like in the Joy of Cooking recipe. Hi Erin, the crust is for 2 pies, but I used all of it for this one galette and it turned out great. 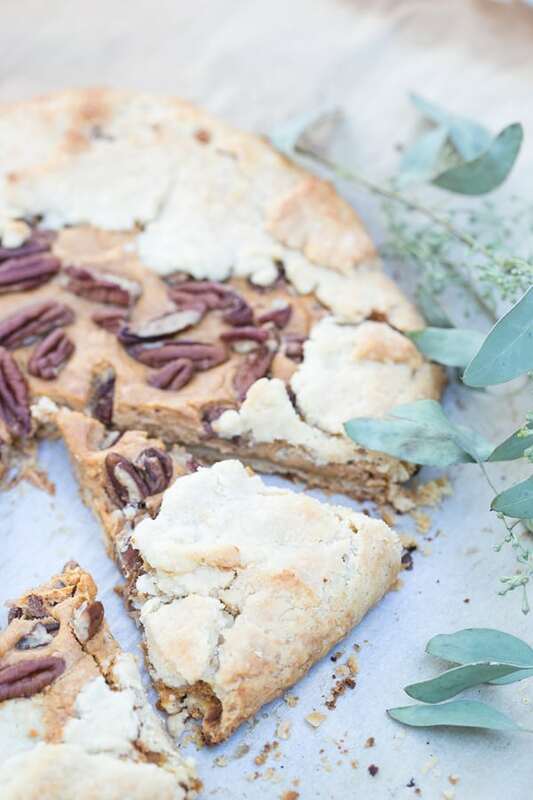 I also use this recipe for my pies and I usually make only one yummy thick crust with it! It turns out amazing. Thanks for the quick response! Thanksgiving is saved!